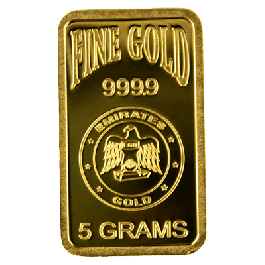 5 Gram Heraeus Gold Bar. 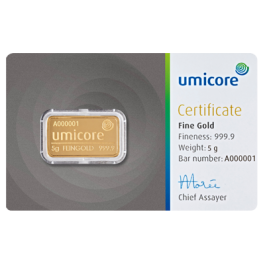 Fully certified and encapsulated. 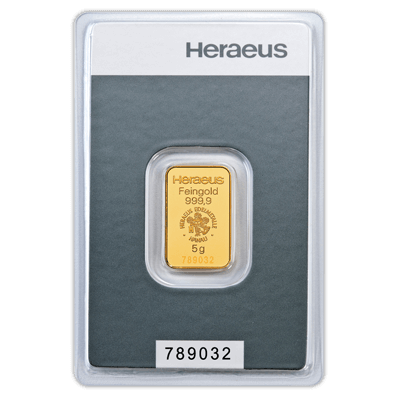 Manufactured by Argor Heraeus of Switzerland for Heraeus. 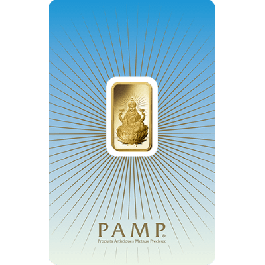 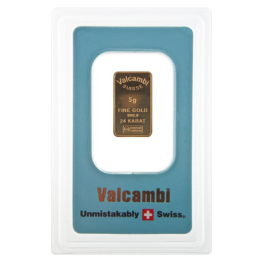 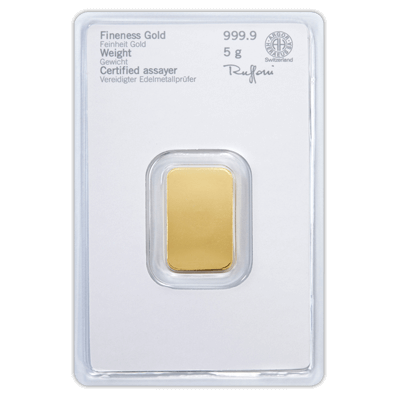 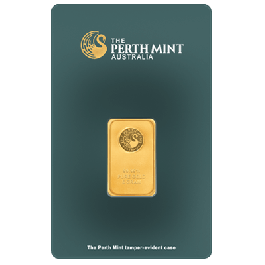 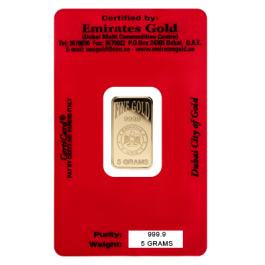 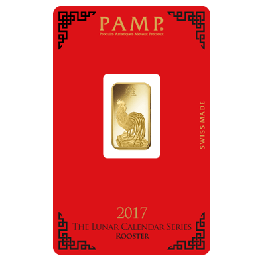 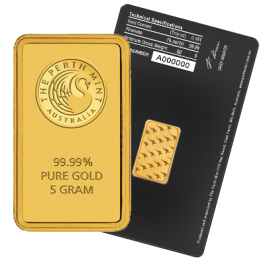 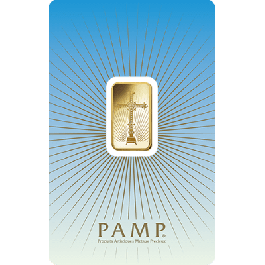 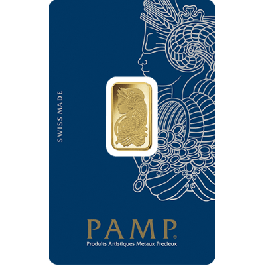 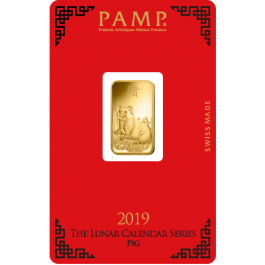 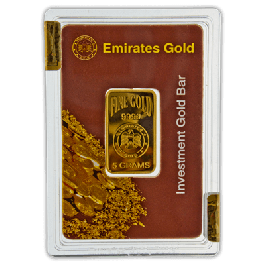 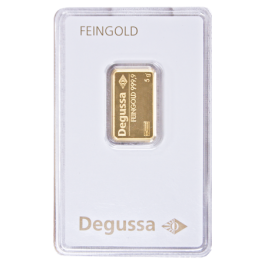 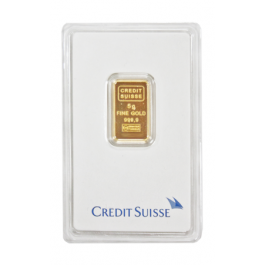 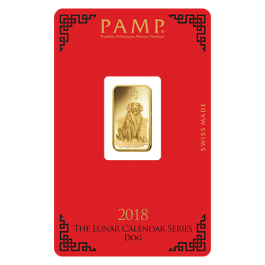 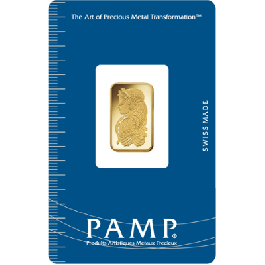 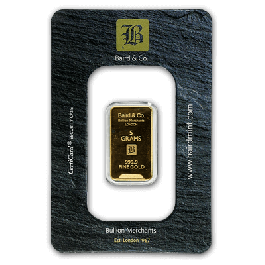 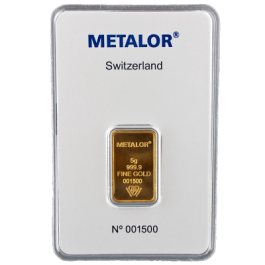 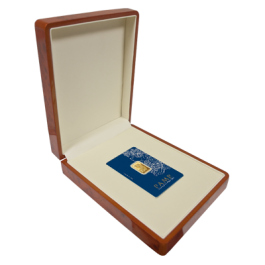 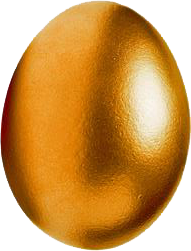 Your 5 Gram Gold Bar Heraeus (PO) will be delivered to you free of charge and fully insured during transit, in a nondescript package that will not draw attention to the nature of the contents.